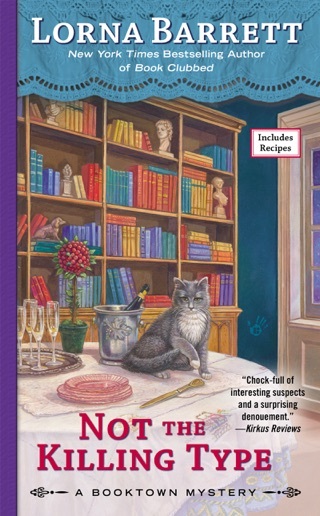 Tricia Miles, mystery bookstore owner and amateur sleuth, throws a housewarming cocktail party in her new apartment and has cooked all the food by herself—quite a feat for someone who previously couldn't boil water. Then one of her guests is poisoned and dies. Tricia's left to wonder if her cooking is to blame or if there's something much more sinister at play. Either way, Tricia's once again in hot water with her ex-lover, Chief Baker. 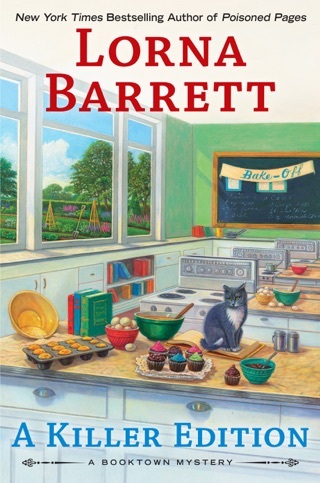 Barrett's lightweight 12th mystery set in Stoneham, N.H. a town that rivals Hay-on-Wye as a haven for book lovers (after 2017's A Just Clause) finds Tricia Miles, owner of the Haven't Got a Clue bookshop, hosting a housewarming party at her newly refurbished apartment over the shop. All is going swimmingly until one of Tricia's guests drops dead from what looks like an allergic reaction to something in the canapes she prepared. Attempted murder, blackmail, threats, cruel pranks, and vicious gossip follow in the wake of this suspicious death, but the really pressing questions that arise are more personal. 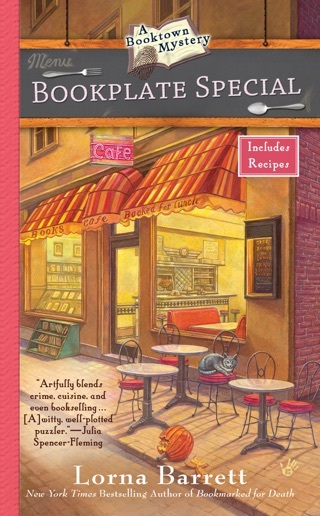 Will Pixie, a clerk at the bookshop, get a new job? Will Mr. Everett and his wife adopt a cat from the animal shelter? Will Tricia become president of the chamber of commerce? What will Angelica, Tricia's entrepreneurial sister and gifted chef, whip up for dinner? These issues oh, and the murder will be resolved over chilled martinis and glasses of pinot grigio. Despite the lame plot, fans of food-focused cozies will be rewarded. Full of surprises - overall a great read! 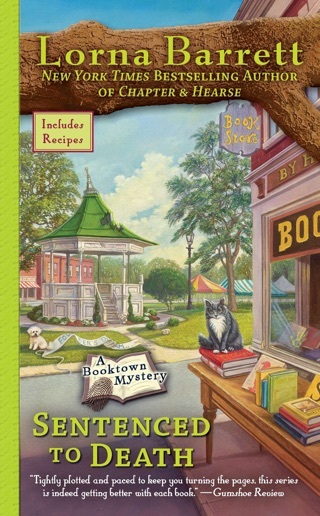 The Booktown Mystery series is how I got hooked on cozies in the first place. The newest book does not disappoint. It's packed full of mystery and "hometown" flavor. The newest book has Tricia hosting a housewarming party at her newly renovated apartment. Things seem to be going well until one of her guests dies from what appears to be an allergic reaction at her party. This does not help her run for Chamber of Commercial President, which has become a heated race with two of Tricia's rivals. 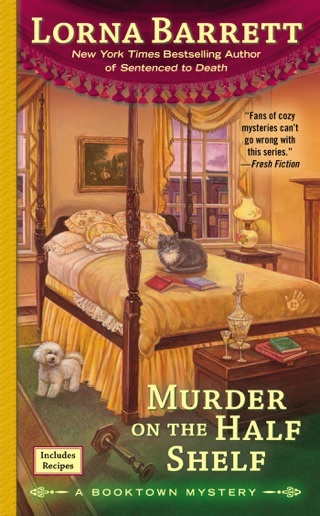 Naturally, Tricia decides to do a little sleuthing of her own... Like the other Booktown Mysteries, this book is packed full of twists and turns. Each book also develops its characters even more -- they grow with each book. I really love the relationship between sisters Tricia and Angelica and all the characters are also like dear friends to me now. Even if you haven't read the series, it's not hard to read this series out of order (although you may end up wanting to buy up every book because it’s so good!) I voluntarily reviewed an ARC of this book but the opinions are all my own. Tricia’s apartment remodel is finally finish and she is celebrating with a housewarming party. She even cooked for the party! Since she has recently taken up cooking, she is happy to show off her new skills. Everything seems to be going well until one of her guests dies from what appears to be a food allergy. This death seems to bring back up the village jinx rumors which could not happen at a worse time. Tricia is running for the Chamber of Commerce President but she has some unexpected competition. Is the death of Tricia’s guest an accident or murder? Can Tricia break what seems to the streak of bad luck? This is my favorite book in the series so far. 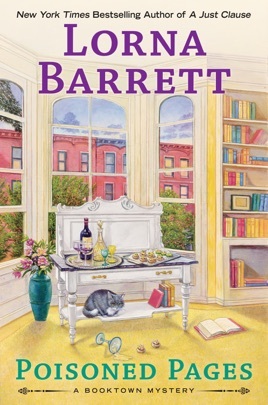 Author Lorna Barrett has created a wonderful setting and fabulous characters, I truly feel as if I am reading about beloved friends. 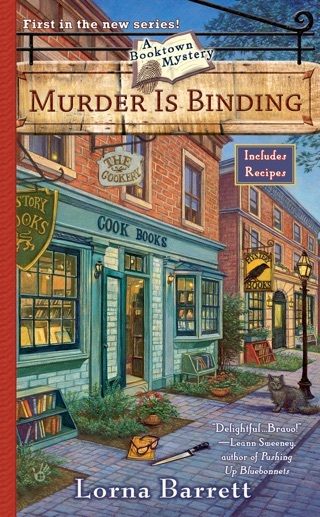 The murder mystery can be enjoyed as a stand-alone mystery, but a lot of the background information can better be understood if you have read the previous books. Several continuing storylines are wrapped up, we learn a few secrets, and we are introduced to a possible new and unexpected love interest. Tricia is being attacked by rumors and Angelica is being blackmailed for reasons she will not share even with Tricia. I really love how even with all the negativity going around the sisters, their adoptive family never turns their backs on them and helps to pull them through everything. 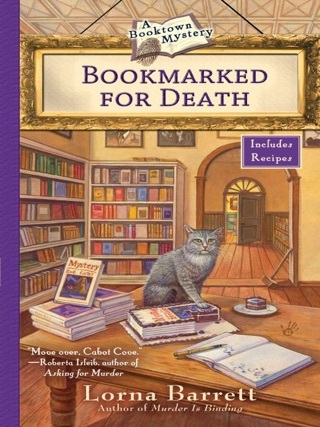 I definitely recommend this book to fans of the series as well as all mystery lovers. Tricia is finally looking forward to putting the past to rest, with the trial and sentencing over, starting with hosting a party to celebrate the new apartment renovations. But alas, that doesn't work out well for her when one of the guests drops dead. And while she is keen to prove that she did not poison him deliberately or accidentally, the death is certainly putting a damper on her run for Chamber President, against two formidable opponents. And then there are the incidents of vandalism that seem to be plaguing the town. 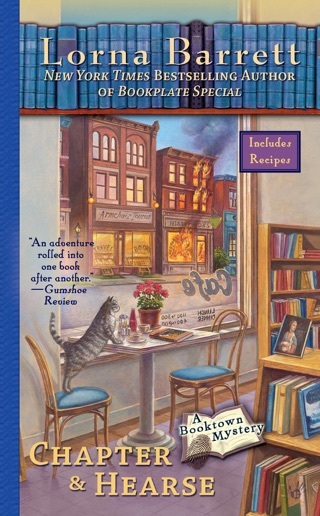 This is a delightful mystery series full of interesting characters, that continue to grow and develop through each new book. I enjoy the relationship between Tricia and her sister, even when they are disagreeing over things. I also like how Tricia interacts with her bookstore staff, Mr. Everett and Pixie. I was excited that Mr. Everett and his wife were planning to adopt a rescue cat, because he definitely gets along well with the store's cat, Miss Marple. All your favorite characters seem to be present in this story, and the villain turns out to be someone totally unexpected (no spoilers intended). I do have to say that Tricia is lucky to have such good help because she definitely spends a lot of time outside of her store, investigating the clues. I am looking forward to the next book in this series, with a new lease on life for Tricia, as well as a potential romantic interest (besides Chief Baker!). Disclosure: I am voluntarily reviewing this book.